Good organizational skills are crucial in any classroom setting—both for you and for your students. With ShowMe Premium’s Courses feature, you can keep your content organized and tidy on a class-by-class, year-by-year basis. Below you can find two ways to create and manage courses: with your iPad and via ShowMe website. Open your account on ShowMe website. Click on ‘Create Course’ placed under your profile picture. Type the course’s name and description, and click on ‘Create’. To access your courses, go to your ShowMe account and click on ‘Courses’. Click on the course you want to manage. Settings (a gear button) are placed on the right side, under the course’s playlist. From the settings page, you can add (green button ‘Add ShowMes’) and remove ShowMes from your course. From your Courses page, click on the course you want to delete. Tap on ‘Delete’ placed on the right side, under the course’s playlist. Confirm that you want to delete your ShowMe. Open ShowMe app, and go to your ShowMes library. From the blue menu tap on ‘Courses’ feature. Tap on the ‘Create new Course’ button. You need to name your course – use a very specific title so other users will be able to find it in the browser. Additionally, you can add a short description of what it contains. Decide either you want your course to be paid or free. A free course can consist of your ShowMes as well as public ShowMes of any other user. While creating a paid course*, you can add only ShowMes created by you. Once all set up just tap on ‘Save’! Open Courses feature, and tap on the course you want to manage. 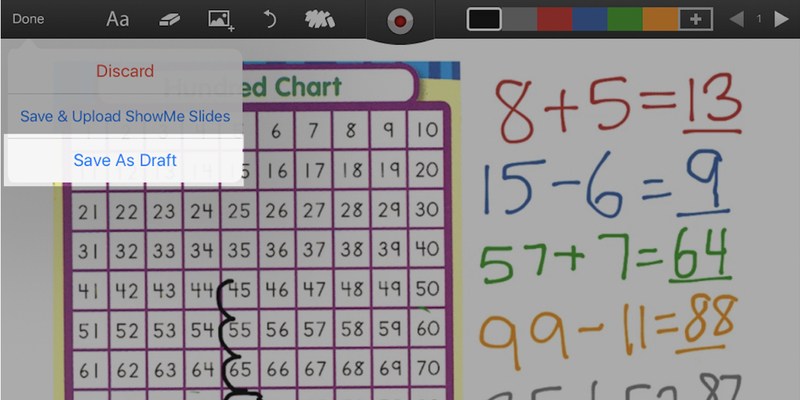 Add ShowMes to your course by tapping on a ‘+Add ShowMe’. From the popup window choose which lesson you want to add. Remove ShowMes from your course by tapping on the X icon placed in the left-top corner of each file, after doing it you will have to confirm this removal. Open Courses feature, and tap on a course you want to manage. Tap on the three dots button placed next to ‘+Add ShowMe’. Confirm the deletion by tapping ‘Yes’. *While creating a paid course: the first ShowMe in the course will be available to watch, as an introduction. To access the other ShowMes a user needs to purchase access to the course which costs $9.99. You, as the created of the course, will receive $5 from each purchase. Let us know if you find all the information about Courses feature you need! If not, don’t hesitate to drop us a line at support@showme.com!